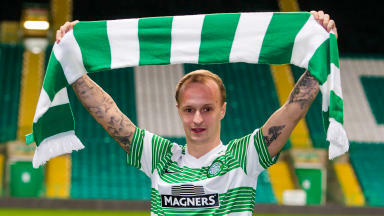 The 23-year-old Celtic player was accused of seizing a man by the neck. 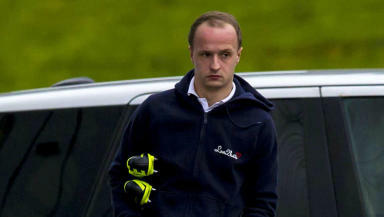 An assault charge against Celtic footballer Leigh Griffiths has been abandoned at Edinburgh's Justice of the Peace Court. The 23-year-old was accused of assaulting Craig Shearer in June 2013 by seizing him by the neck, seizing him by his clothing and pushing him on to the road. Prosecutors sought an adjournment to the case after they unsuccessfully attempted to cite both the alleged victim and a witness. 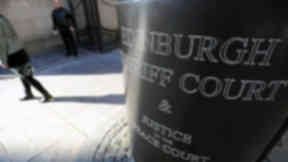 The procurator fiscal stated in court that it came to light on April 15 that they had been unable to make contact with the relevant parties because they were no longer at the address listed. A request was made for the trial to be delayed until June 19 to allow more time to establish their whereabouts. Griffiths' counsel, Kathleen More, opposed the application, stating that an adjournment would have an impact on his career at both club and international level. It was also said by Ms More that the Crown should accept they were at fault for failing to ensure they were ready for trial. The judge ruled that Griffiths had a right for the charge to be dealt with expeditiously and without prejudice, not owing to his public profile, and refused the adjournment.